The keyshot material editor was introduced in Keyshot 6, and for me, it was the single biggest leap forward Luxion made in the development of their wonderful software. There are dozens of 3D rendering applications on the market, and while I would argue that Keyshot is among the easiest interfaces out there for visualization, it was still very meager in version 5 when it came to materials. In Keyshot 6, that changed, and opened the game for Keyshot to play with the big boys. Suddenly adding realism through wear & tear, imperfections, or just simply layering several types of materials into one, became very possible, and in true Keyshot form, easy to understand. The true power of the material graph is born in the concept of nodes. While nodal workflows aren’t a new concept, they are often pretty overwhelming to a new user. Keyshot thankfully has managed to keep the concept simple by limiting the types of nodes. The nodes that are available can be extremely powerful, especially when you know how to use them. It has opened the door for an infinite sum of combinations. There’s so much to talk about in regards to the material graph, but today, I want to talk strictly about using it to add another layer of complexity to your base shaders. It can be incredibly easy to add texture and grit to give your models far more dimension and believability. 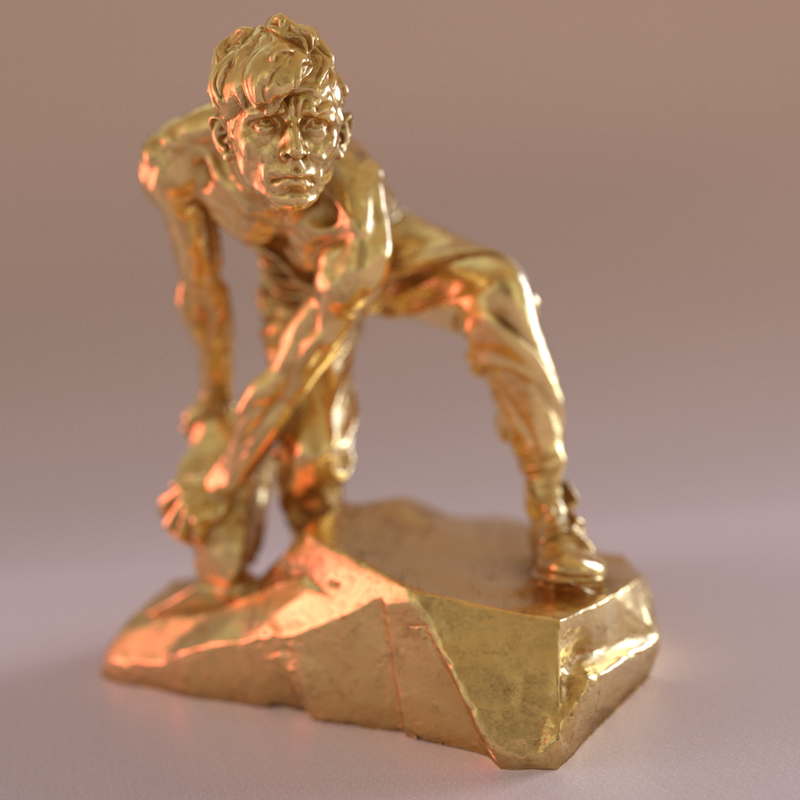 Simply drag the slider back and forth to see the base gold shader (stock in Keyshot 7 with the new physically accurate metal shaders, more on that in the future) and the added grit and grime added using the material graph and several labels. Here is a screenshot of my material graph opened in KS7. You can see I am using a combination of 3 labels all set to diffuse. The 3 texture maps are stock maps included in KS7. Mixing them up with the color and opacity channels helps break up the map. Think of the opacity channel as a layer mask, it is a great way to dial up/down how much of the color map you are seeing, so it doesn’t become obvious that you’re using one. You can also see I am using the curvature procedural texture (also a KS6 feature) which is another way to mask your texture, but using the geometry as a parameter. Excellent feature! Great for adding extra details in the edges. Eventually I hope to make a video tutorial to better demonstrate how this feature can really take your visualizations to the next level.